You’ve probably heard of social bookmarking before. If you haven’t, it’s not all that complicated. It’s just a way for users to store their bookmarks online. And here’s why this is hot for the end-user. Basically, if all your favorite web pages are online; they aren’t limited by the computer you’re on. You can access them from your work or home computer just as easily as a public computer at the library. Also, instead of putting them in folders you create (like the old fashioned way you’re forced to organize things in your Internet Explorer favorites tab), your bookmarks are accessible by tags. That means you can assign a single bookmark to multiple categories (in case you’re like me and forget if your Mambo Templates site was in the CMS Folder or the Blog Folder). If you’re still using your web browser to organize bookmarks, you have to put the bookmark into all the folders it belongs to… which is kind of inefficient. Whereas tagging allows you to do this quickly and easily because all you’re really doing is labeling the page. The bookmarking sites take care of the rest. Then there’s the social aspect of social bookmarking. These bookmarking services allow other viewers to see your favorites. That way you can share. Here’s an example displaying the power of this. Over time, if a group of people locate the best resources related to writing a resume and you find their bookmarks, you’ve just saved yourself some time. Most of the work is already done for you. You don’t have to waste your time looking for quality information related to resumes. All these nice, helpful people who came before you found the best resources already. You can add your new resources to theirs, but you don’t necessarily need to reinvent the wheel and start from scratch. This way a huge list of quality resources begins to grow. Isn’t this how searches should work? I think that was the original intention. But the web has become too big. Since search engines have become more about finding the perfect algorithm to automatically classify information rather than focus on what the searchers want (i.e. 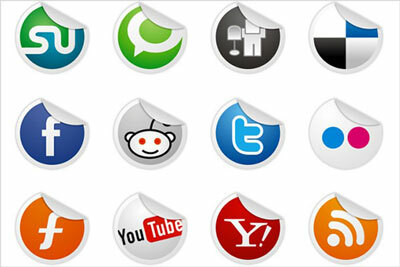 good, quality sites), many savvy internet users are turning to social bookmarking sites. These savvy users know that a search engine spider can’t always tell a quality site from the garbage. But these social bookmarking sites can. They are organized by humans, for humans, which is part of the appeal. Social bookmarking allows you to easily find new sites, and possibly meet people with common interests. So even if you’re not using social bookmarking as a search tool, rest assured that others are. More and more bookmarking sites are cropping up around the internet and the latest ones cater to niches. In addition, the most popular of these sites are now showing up very high in the search engine rankings. This means if you add your link to them, the link to your site will be seen (and hopefully clicked on) by an absolute ton of visitors. Which would you rather do? Search for top ranked sites in your niche and beg the owner to put a link to you in their resources directory (that no one is going to look at by the way). Or spend 5-10 minutes getting a link from a prominent site, right in the midst of the relevant content? I think you see my point. Some of these sites will even check the bookmarked links to make sure they are still live. If they aren’t, the bookmark will be removed. The better bookmarking sites will also keep track of all the people who have bookmarked a particular web page and rank it. The page with the most bookmarks will be placed near the top of the list. This is a very valuable feature for you as an internet marketer. Obviously, you want your link near the top of the list! So social bookmarking is just a way of saving bookmarks to a public website and tagging them with relevant keywords. If you don’t already have an account at a social bookmarking site, sign up for one through del.icio.us and give it a try.